This entry was posted in Desserts, Easy Kid Treats, Food, Gluten-Free. Bookmark the permalink. I will definitely have to try this recipe out! Looks good! What a great way to use the almond meal left over from making almond milk! Thanks for sharing. You are welcome! I am glad you like this recipe! 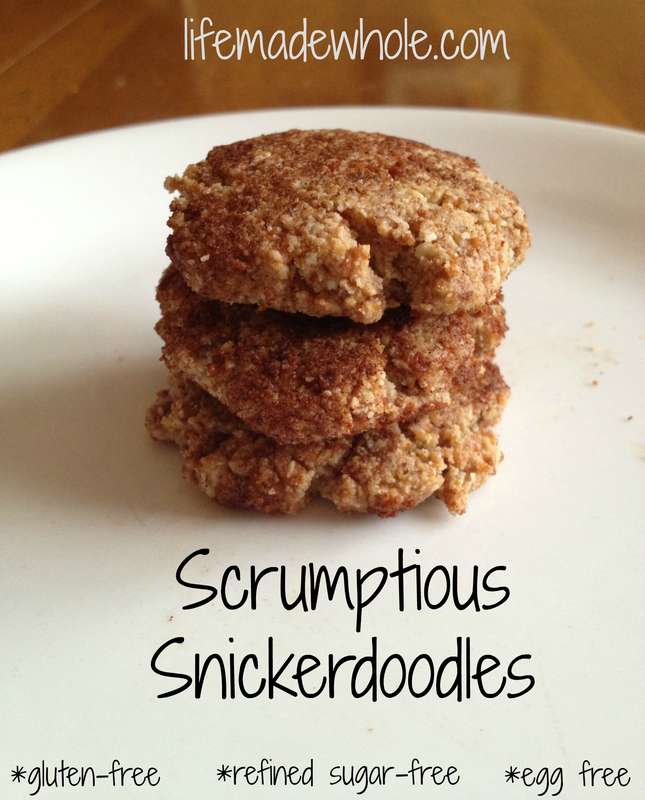 Made these yesterday, they are super delish and have been a big hit with everyone!!! Thanks for sharing the recipe!! About 24 mini muffin sizes. I have been doubling the chocolate portion of the recipe lately and that gives me a solid 24 minis. Enjoy! The dough was super difficult to work with but they came out really good, only got about 14 cookies. Any tips on the dough or just the nature of the recipe. Unfortunately, it is the nature of the ingredients. I am glad you liked the end product.